FIX Protocol Ltd (FPL) has today published updated recommended guidelines for the use of FIX for post-trade processing, following the non-profit bilateral communications network’s expansion of messaging into the post-trade arena in January this year. The rationale behind this set of procedures is to provide buy and sell-side firms with a standardized approach for more effective management of risk issues, enhanced transparency, reduced costs and greater efficiency for equities post-trade processing. These new guidelines are now being successfully implemented globally by many investment managers, broker dealers and vendors. Firms which are now operating under the guidelines have provided significant feedback throughout the implementation process, which has been incorporated into the guidelines as they have been revised and extended. This includes specific enhancements that offer recommended best practices regarding the use of FIX to support allocations, confirmations and affirmations. • Reduced dependency and risks associated with having a single approach for processing trades in the post-trade environment. • A standardized approach to workflows, reducing complexity and in turn the costs and the time required for issue resolution. • The ability to eliminate matching ambiguity and the need for complex matching algorithms through the use of standardized trade identifiers. • Increased guidance about fee types, helping to reduce trade-breaks which in turn reduces costs and processing time. • Detailed settlement instructions for confirmation processing, reducing management costs and potential errors. The guidelines have been specifically designed to facilitate phased implementation by both the buy-side and sell-side communities. Ensuring the guidelines continue to support global post-trade processing is a key area of focus for FPL and the organization welcomes feedback from industry participants in order to assist in exploring even further ways in which they could be enhanced to additionally support the needs of different markets across the world. Discussion touched on this matter at London’s EMEA Trading Conference held by FPL during which Kevin Houstoun, FIX Protocol Technical Committee’s Co-Chair, and Chairman and Founder of Rapid Addition spoke regarding standardization as a means of creating increased post-trade transparency and the technological solutions being developed to achieve this. A further industry executive to comment was Scott Atwell, FPL Director and Manager of FIX Trading and Connectivity at American Century Investments added:“Extending the use of FIX to post-trade completes the communication cycle between buy-side and sell-side firms. After using FIX for the order and execution processing, a buy-side firm can simply send a FIX Allocation with account-level breakdowns, and the sell-side firm will send a FIX Confirmation message for each account. “After successfully matching, the buy-side firm then responds with a FIX message to affirm each confirm creating a succinct process with an audit trail. The benefits include efficiency gains, improved straight-through processing, and quicker identification of issues, all of which provide significant risk reduction and cost savings” concluded Mr Atwell. The industry-driven standards body has been involved in pre-trade and trade communication within the global electronic trading community since its establishment in 1992, however subsequent to research by data analysis consultancy Tower Group in 2005, 95% of sell-side firms support or plan to support FIX for allocations, leading to a requirement for entering the post-trade segment. As the tolerance level for post-trade inefficiencies is minimized, it came to the attention of FIX Protocol that the industry is witnessing a determined drive to adopt free, open and non-proprietary standards as the platform on which firms can manage their operational risk and cost base. The strain on the industry’s post-trade infrastructure is expected to permeate further with increasing regulation, shorter settlement cycles and the recognition that there is no competitive edge in this space. Investment managers and broker dealers are focused on using mutually agreed standards to deliver higher efficiencies and lower costs. 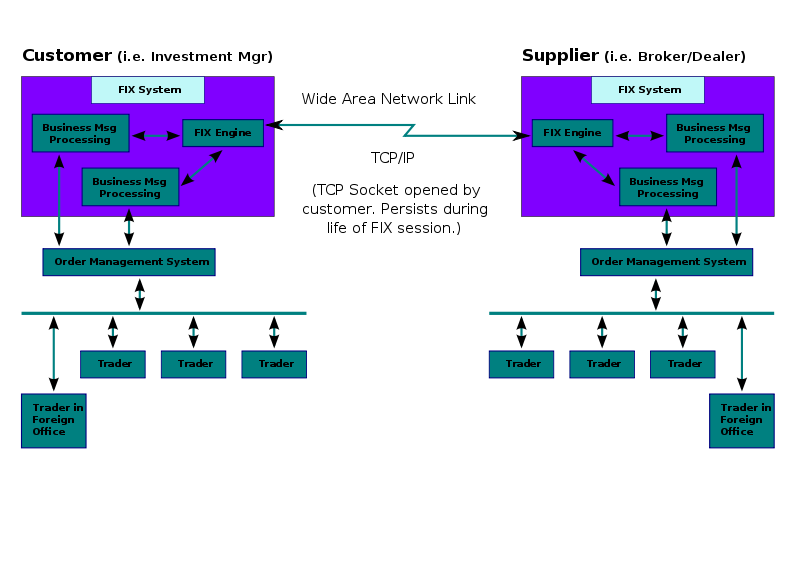 The FPL Post-Trade Processing Guidelines were originally disseminated in April 2012 by the FPL Americas Buy-side Working Group to help address these challenges, and enable firms to leverage and extend their existing FIX investments into the post-trade environment, and also benefit from the many advantages delivered by increased straight-through processing (STP).